According to underwater archeologist Franck Goddio, credited with having discovered the site, the city was probably built sometime around the 8th century B.C., which makes it older than the famed city of Alexandria. Over the years, it fell victim to a number of natural disasters before being swallowed by the sea, probably around A.D. 700. The Telegraph reports that researchers are beginning to more fully understand what daily life was like in the city, also called “Thonis.” Mainly, they describe it as having served as the main hub for sea traffic entering the region, including all trade from Greece. 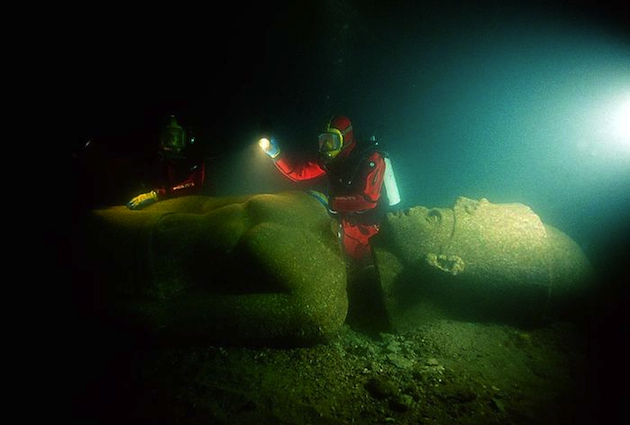 “We are getting a rich picture of things like the trade that was going on there and the nature of the maritime economy in the Egyptian late period,” Damian Robinson, director of the Oxford Centre for Maritime Archaeology at the University of Oxford, told the Telegraph. 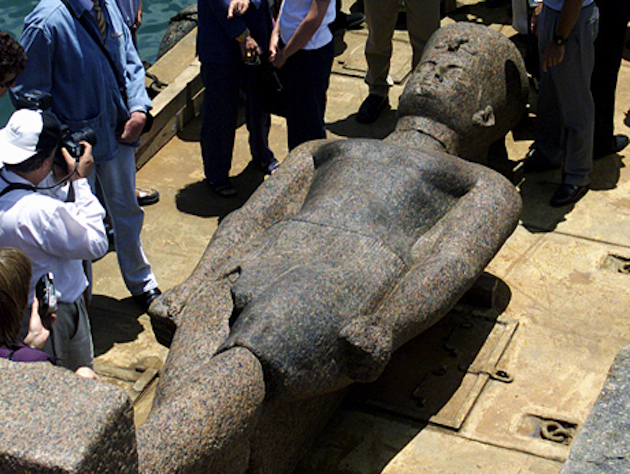 Robinson is part of the team that has been busy uncovering artifacts from Heracleion's sunken remains. The city is also believed to have had a rich cultural history. Helen was said to have visited it with her lover Paris shortly before the onset of the Trojan War.